장성군 백암산에 위치한 백양사와 백학봉 일대는 백양사의 대웅전과 쌍계루에서 바라보는 백학봉 암벽과 숲 경관이 매우 아름다워 예로부터 ‘대한 8경’으로 손꼽혀왔다. 백암산은 내장산과 함께 단풍이 특히 유명하며, 천연기념물 제153호 “장성 백양사 비자나무 숲”을 비롯하여 1,500여종의 다양하고 풍요로운 동식물이 서식하고 있다. 백양사의 창건유래가 담긴 정도전의 와, 이색, 정몽주, 김인후, 박순, 송순 등 유명인들이 탐방하고 백학봉과 쌍계루의 풍광을 읊은 시와 기문를 볼 때 이 곳은 예로부터 자연경관으로 유명한 명승이다. 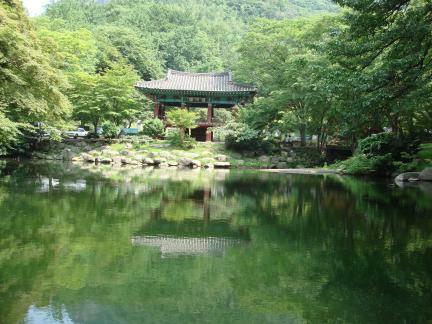 특히, 지금도 백양사 대웅전 기와지붕과 어우러지는 백학봉, 연못에 비치는 쌍계루와 백학봉의 자태는 탄성이 절로 나올 정도이며 많은 사진작가들이 찾고 있다. 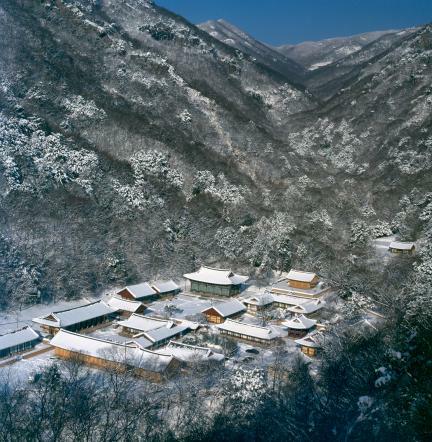 Baegyangsa Temple in Jangseong-gun, Jeollanam-do is the head temple of the 18th Parish of the Korean Buddhist Jogye Order. 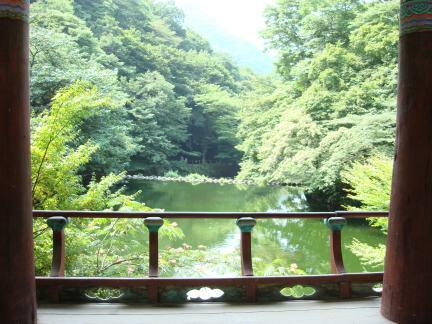 Aside from its long history, the temple is known for the pristine natural scenery surrounding the compound of classical halls and pavilions. 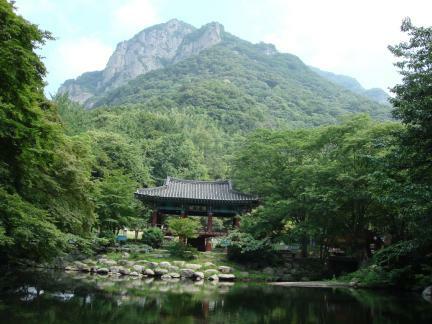 In particular, the Daeungjeon Hall and the rock walls and plants around Baekhakbong Peak at the back have earned the temple its reputation as one of the eight greatest sceneries in all of Korea. 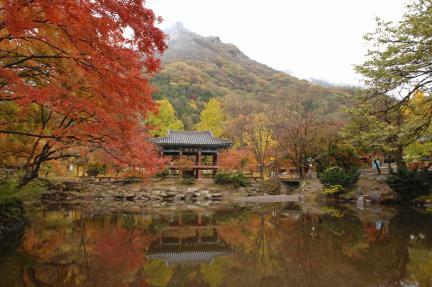 Baegamsan Mountain, where the temple is nestled, is especially famous for its breathtaking maples in autumn. 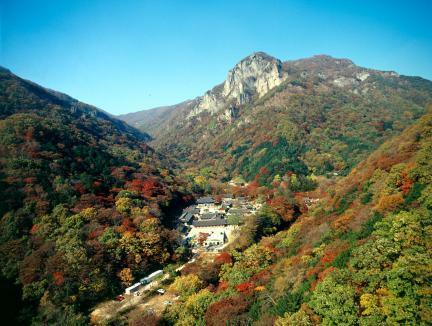 The mountain is a natural reserve featuring some 1,500 species of flora and fauna, including the Forest of Japanese Torreyas at Baegyangsa Temple, designated as Natural Monument No. 153. 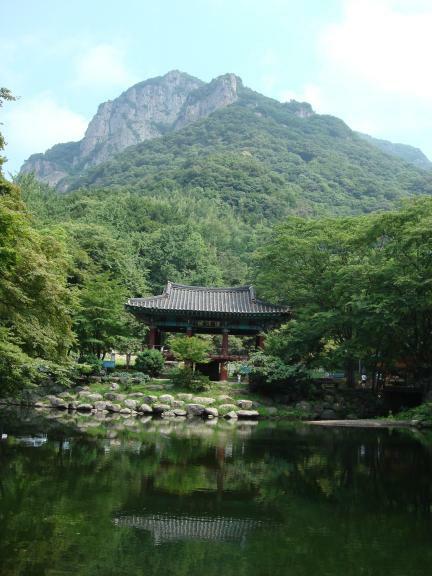 The temple drew many luminaries during the Goryeo and Joseon Dynasties, who left behind writings praising its scenic beauty. 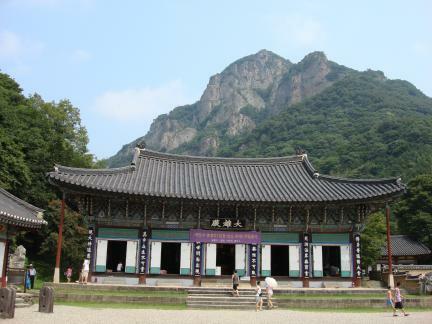 Among them were Jeong Do-jeon (1342-1398), who wrote Jeongtosa gyorugi (Record on Jeongtosa Temple), Yi Saek (1328-1396, pen-name: Mokeun), Jeong Mong-ju (1337-1392, pen-name: Poeun), Kim In-hu (1510-1560, pen-name: Haseo), Park Sun (1523-1589, pen-name: Saam), and Song Sun (1493-1583, pen-name: Myeonangjeong). 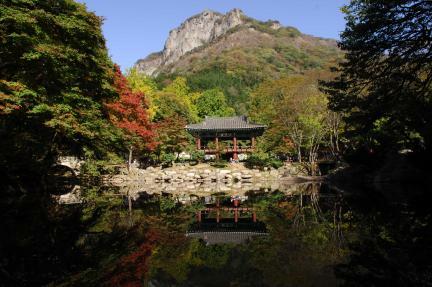 Today, the temple is known as a haven for photographers. 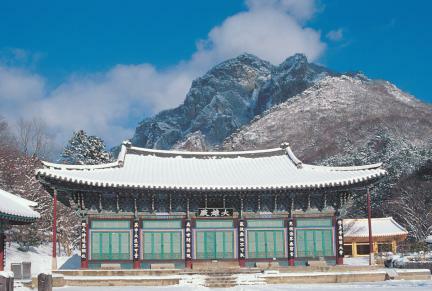 The elegant roof lines of the main hall as viewed against Baekhakbong Peak and the image of the peak and Ssanggyeru Pavilion reflected on a pond in front of the pavilion are scenic gems.